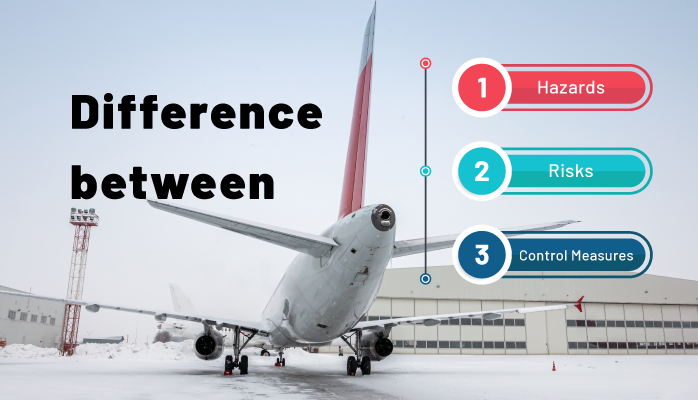 Aviation management personnel and employees who truly understand the differences between hazards, risks and different type of controls are more effective at preventing accidents and reducing costs related to preventable accidents and incidents. Furthermore, hazards and risks are most commonly misunderstood by safety managers who need to either create or review their company's hazard and risk registers. Can you easily tell another employee the difference between a hazard and a risk? What about the different types of control measures? Are you sure your definition and understanding are correct? We all have heard about hazards and risks our entire lives, so these definitions sounds so easy, but in reality, I repeatedly see misconceptions about what are hazards and risks. To be completely honest, my definitions were inaccurate before I became an SMS professional over ten years ago. Hazards and risks, in my layperson view, were reversed and I could not tell you much about controls except that they keep bad things from happening. Our understanding of each risk management term needs to be harmonized across the industry to ensure ALL aviation risk management personnel are on the same page. When safety professionals discuss hazards and risks, and how to mitigate these everyday elements, it is much easier when your definitions of hazards, risks and control measures are the same as all the other safety professionals. Otherwise, we see confusion and very common mistakes. Since we deal with hundreds of companies, our exposure to these misconceptions is higher than most safety consultants who deal with a considerably smaller subset of clients. Otherwise, I would not be writing this article. Combination of overall probability (frequency of occurrence) of harmful effects induced by a hazard and the severity of resulting effect. Some calculations may include "exposure." Must be aware of all credible risk scenarios related to known hazards in their area of operations and how to prioritize risks focusing risk management activity to reduce probability, severity and/or exposure to as low as reasonably practical. Safety professionals and department heads with risk acceptance authority over particular area of operations need to be familiar with operational hazards and to review their identified hazards regularly. Many safety managers and department heads do not have an existing hazard register. Otherwise, they may have inherited an incomplete hazard list or they may not have one to start with. The best way to start a hazard list is to download an existing hazard list that has already been created by aviation industry safety professionals. Some of the better aviation SMS database software programs will have an integrated hazard analysis tool that comes with such a hazard list to serve as a template or inspiration for over-worked safety professionals. Exposure (used by approximately 5% in aviation SMS). Based on over ten years of empirical evidence, 95% of aviation service providers only consider probability and severity when determining risk. "Exposure" is a third dimension that allows for a more complete risk assessment; however, exposure adds another layer of complexity that many in your company may not be trained in. What am I risk assessing? It makes little sense to risk assess the hazard because you may not be exposed to the hazard. By itself, a quick hazard analysis may not offer a complete picture, such as what happens when we interact with the hazard? What you should be focusing on are the "hazard related consequences" stemming from "credible" risk scenarios. In most cases, assessment is based on "Probability" of the hazard manifesting itself and "Severity." I said "most cases" because there are more sophisticated practitioners that also include "Exposure," which we are leaving out because chances are that you only use probability and severity in your risk assessments. To circle back to the question as to what you are risk assessing is that you are assessing all credible risk scenarios. When you are risk assessing your "credible risk scenarios," you should also consider all of your implemented control measures. More about control measures down below. Mitigate the consequences of an event. What Is a Control Measure? We also encourage operators to include security. Control measures cover an extremely wide variety of elements with varying ranges of effectiveness. A simple way the aviation industry can classify controls is by using the accepted "hierarchy of controls" classification. The hierarchy of controls is listed below in order of effectiveness. I'm hoping that you noticed that PPE is at the bottom of the hierarchy. This indicates PPE has the ignoble distinction of being the least effective control type. Therefore, when you are evaluating or implementing control measures, you should attempt to implement other types of controls first. To effectively assess the risk of any risk scenario, you MUST factor in any existing controls. Risk assessments performed without considering control measures are not valid. Simply said, every safety manager and department head must be aware of implemented controls. How else can you accurately assess risk? How do you evaluate your implemented controls? Are your control measures documented so you can easily reference them? Who has the most complete knowledge of controls in each area of operations? Are these the same people who document and review these control measures for effectiveness? These questions are meant to stimulate your thought process. 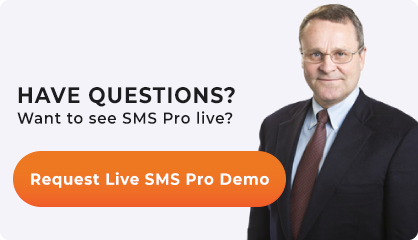 If you are not using an SMS database solution to manage your hazards, risks and control measures, I wager that you are neither efficiently nor effectively managing risk in your aviation SMS. In short, there are too many moving parts to perform this activity using an MS Excel spreadsheet and paper. When to Review Hazards, Risks and Control Measures? When do you review your hazards? These are important questions. If they are not answered properly, you have already received an audit finding or you will definitely receive an audit finding if you neglect to manage the hazard identification process properly. When managers know how to review hazards, risks and control measures, then this area of your SMS is more likely to pass an audit. From my impression, it seems as if the majority of managers consistently procrastinate and ultimately neglect reviewing these essential risk management elements. I sum it up as a lack of training, but I also know that safety culture plays an important role. Safety managers OFTEN take it upon themselves to conduct these reviews without the active involvement of managers with "risk acceptance authority." In these cases, safety managers are sending the wrong message to department heads. What we have repeatedly seen is that since the department heads were not involved in the initial hazard identification process, they don't know that they need to perform periodic reviews. Alternatively, your earnest department heads may not have been trained how to document these elements. Then the auditors come and issue the deserved finding. Continuous monitoring is the review of hazards, risks and controls as they are affecting operations. This is often performed in real time. To properly monitor hazards and controls on a continuous basis, and to make this a sustainable process, you will need an SMS database solution that allows for managers and department heads to easily evaluate hazards and control measures when they are treating audit and hazard reports. Who Should Review Hazards, Risks and Controls? Aviation safety managers are rarely subject matter experts across all operational areas. Yet we repeatedly see safety managers shouldering the burden to solely create and manage hazard registers. What you don't want to happen is for safety manager to do all this work in a vacuum, i.e., without the participation of knowledgeable and responsible managers. Properly managing a hazard register can prove to become a large, thankless task that is best performed by a group of qualified subject matter experts with in-depth knowledge of company operations. When department heads with the risk acceptance authority lack the time to properly document these activities, it is appropriate for a data entry subordinate to perform the documentation activities, but the respective department head should be reviewing and accepting the risk during the review process. In conclusion, monitoring hazards, their associated risks and control measures is a fundamental and ongoing activity in your SMS. When you can pinpoint the exact hazards and failing controls that are causing you the most grief, you are one step closer to focusing your risk management activities. When your SMS data is scattered among different data stores, creating a sustainable hazard monitoring process becomes increasingly challenging. Having all your SMS data in one centralized database offers significantly more efficiency and effectiveness in monitoring. Do you need tools to effectively manage your hazards, risks and controls in your aviation SMS? We can help you look like a rock star!